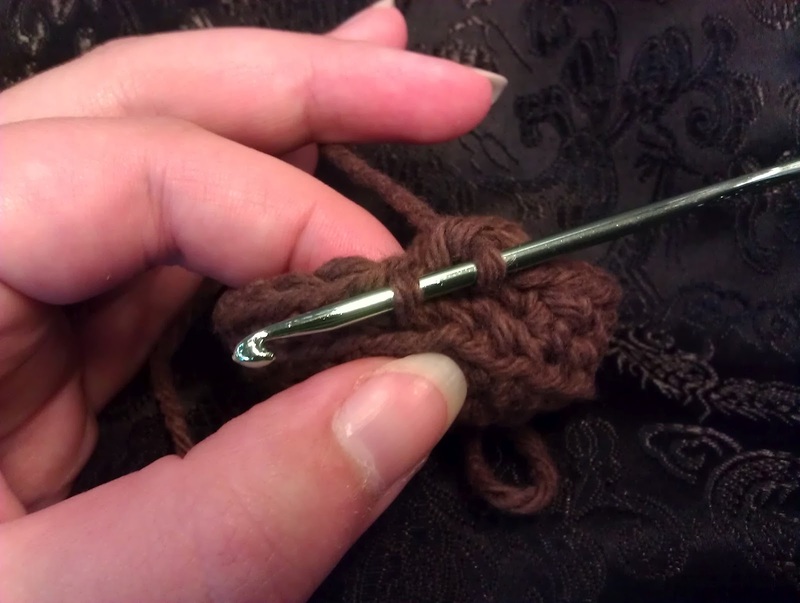 Use the hook to pull the loop through the stitch so both the loop and the tail are sticking out the back side. through the same stitch as your slip stitch. both the loop and the tail are sticking out the back side. 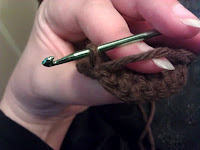 FIG 3: Single crochet 1 in one loop of front post of previous row. 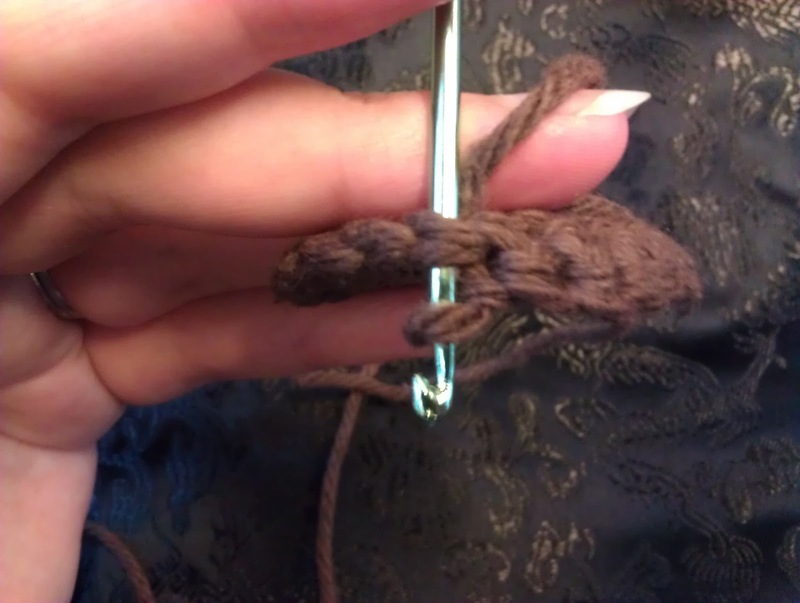 Option B: In front loops of round 10, [sc 3 in same stitch, slip stitch in next] repeat around, slip stitch to join. Tie off, use tail to thread through the stitches of the last row with a yarn needle, pull tight to close, tie off, weave in all ends. Tie off, leading a long tail. Use tail to thread through stitches of last row, pull tight to close, tie off. 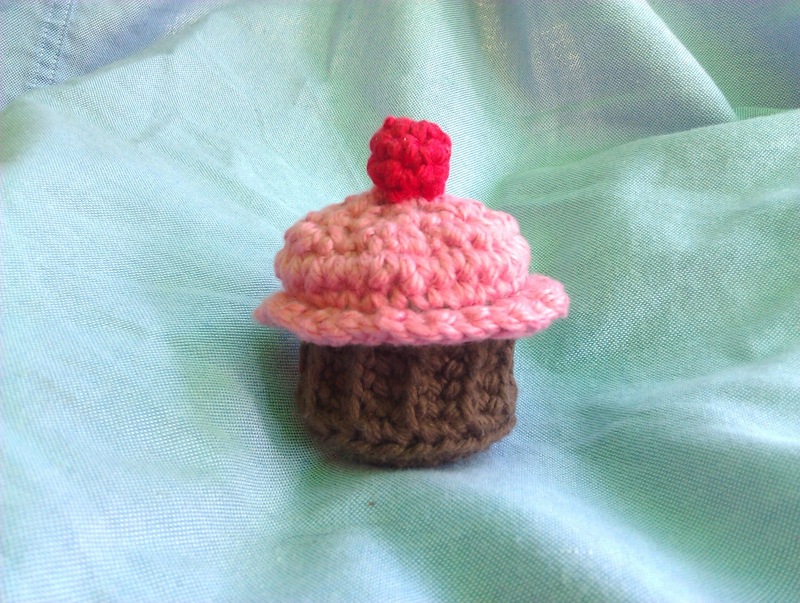 Use tail to attach to cupcake.